On Friday March 31st, I had the pleasure to meet Alec Louw, Sales Executive Europe and Asia for Rupert Wines, who came to our company Chinese restaurant “Dynasty Garden”. 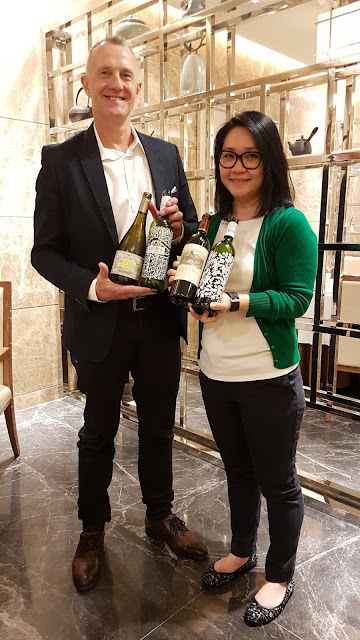 He was having lunch with Melody, On-Trade Sales Manager at ASC Fine Wines in Hong Kong, the distributor of Rupert Wines in Hong Kong, and in the meantime introduce our Sommelier Team a few wines from the winery’s portfolio. I did not know and never had the pleasure to taste Rupert Wines previously, and I need to admit that I was pleasantly surprised. South African wines always made me have a pucker face in the past, as often too smoky, too tarry, too astringent or green, often unbalanced or inharmonious, and also too hearty but in a bad way, even sometimes smelling like the melting asphalt of a road scorched by the sun in the middle of summer. Yet, I need to admit that my opinion has changed as I tasted better South African wines over the last 5-6 years, with better balance and overall harmony, less impregnated or marked by what I consider being “flaws” cited above. Rupert Wines surprised me by their gentle, easy going modern attitude and approachable drinkability. 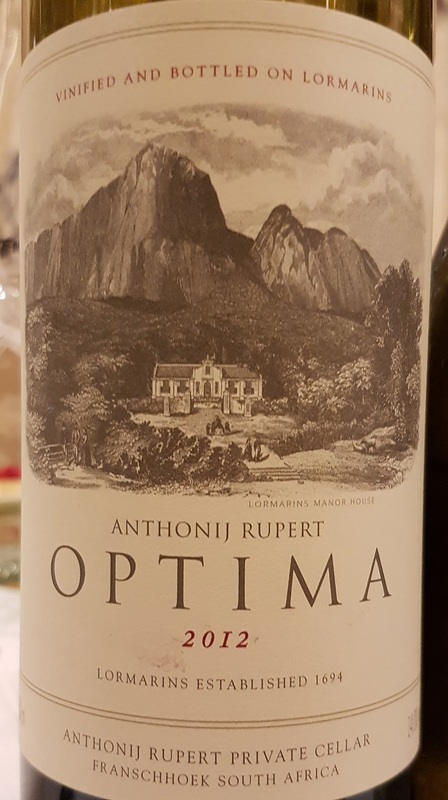 Anthonij Rupert Wyne at L’Ormarins is located in Stellenbosch, about 62 km east of Cape Town on the Route 45, in a breathtaking décor at the feet of the Groot Drakenstein Mountains. The interesting part of Rupert Wines is that they are creative and innovative, combining old tradition with modern techniques, and above all environment friendly in their ways of producing, ageing and even dressing their wines (capsules, corks and labels). 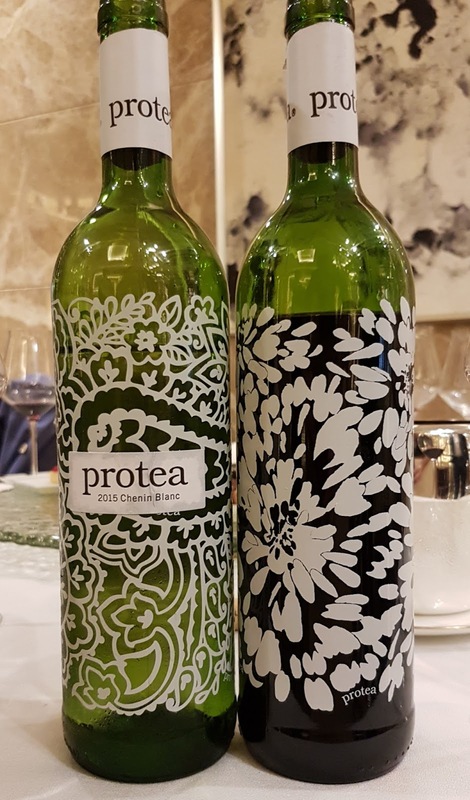 Their labels for the PROTEA wines range are just like pieces of Art designed by acclaimed designer Mark Eisen. Soon, they will even get more innovative and active in an eco-friendly manner by replacing the traditional cork of some of their wines, with the latest invention of 2 of the world leaders of corks and wine packaging “Amorim and O-I” called the “Helix” Cork. 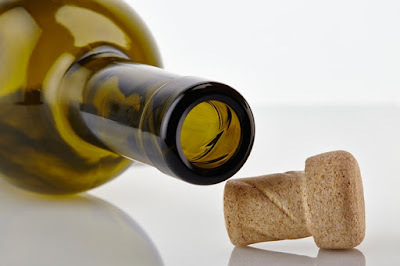 A revolutionary cork with a twist created as an alternative against metallic and plastic screw-caps, which respect for both the wine and the environment. An appealing wine for younger and more feminine generations (as well as amateurs) with an attractive and recognizable painted label design created by world renowned designer Mark Eisen. Environment friendly the small label is easily removable and made of recycled paper, even the paint is also 100% recyclable and heavy metal free. Outside of the packaging, is the wine good will you ask? Well… it is definitely very enjoyable and dry compared to all the sweet Chenin from South Africa out there, which is a characteristic that I enjoyed (tired of this sweet Chenin that taste like nothing). Think about simple outings, like BBQ with friends, a nice day on the beach, light and fresh food… easy going, nothing too complex, it is made for relaxing time and nothing else to think about…. 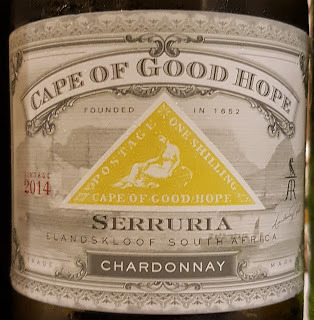 Like the Chenin Blanc above, nice and easy going, juicy and approachable, maybe somewhat slightly less appealing to my palate, but I rather let you judge it for yourself. 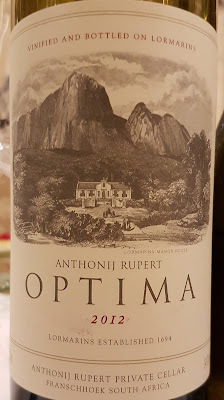 For a wine that has spent 11 months ageing on his lees after being fermented partly in stainless steel tanks and partly in old French oak barrels and old wooden vats, one will immediately notice that it is not overly rich or marked by the oak at all, it is rather fresh and zesty, almost shy for my palate. 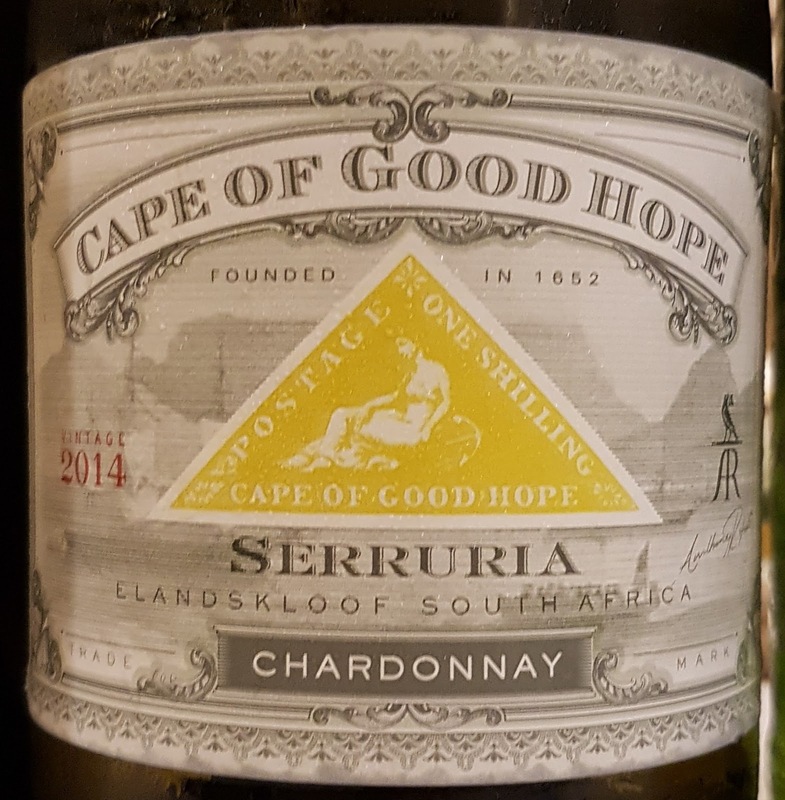 Planted on the slopes of the Stettyn mountains (outside Villiersdorp), between 700 and 900 meters above sea level, the location of the vines, conferred to this wine its freshness and minerality, somewhat reminiscent of a Chablis, rather than the usually expected ultra extracted, heavy and woody new world chardonnays. A blend of Cabernet Sauvignon, Merlot and Cabernet Franc, this appealing wine is quite reminiscent of a Bordeaux wine, Medoc more particularly. Even the label and overall packaging, similar to Chateau Lafite Rothschild, could make it pass for a classic Bordeaux bottle in the middle of a shelf at your favorite wine store. Red and black berry on the nose, earthy and oaky notes and spicy nuances. The palate is quite rich and ripe, yet balanced by a nice amount of acidity, complex and harmonious with blacker berry fruits and spices than on the nose. The finish is polished and textured, quite long with integrated refined tannins. A very nice surprise overall at 20 bucks. I had no real expectation at first but it really boasted some attractive features that called for another glass. 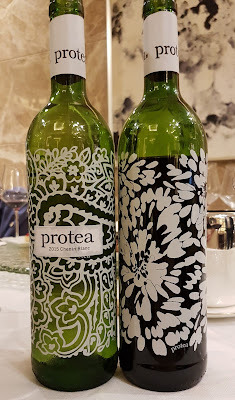 Thank you Alec Louw for letting us taste and discover your wines, and Thanks to you and Melody for choosing to come in our comapny Chinese Restaurant Dynasty that day. Thank you for your comment "Best essay writing service"
I try to write my posts on my blog the most unbiased way as possible, sharing my impressions and feelings with a dash of technical information. Glad you found it useful.